Renovating your kitchen, bath or home? Set up an appointment to have our Deconstruction Crew come out and remove your cabinets, fixtures, trim, appliances and more, at no charge! With one call or click of a button, you can have your space ready for your contractor, and dontate your old items for a great cause. Old cabinets, fixtures, etc. 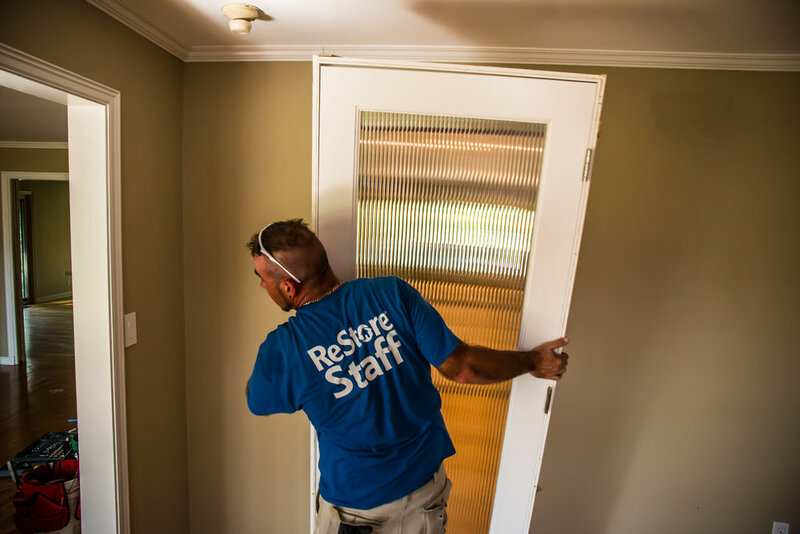 are resold in our Habitat ReStore, with all proceeds going towards our mission to build quality affordable homes for derserving Tulsa families. Call us at 918-359-5555 or click the button above to schedule a Deconstruction today!